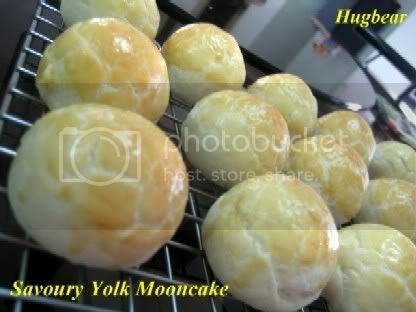 I was supposed to make some savoury yolk mooncake for my parents. But because of the cholestrol, I omitted the salted yolk from this so that my parents can eat them. Here is the recipe if you would like to try making some. Put all ingredients into the mixing bowl and mix into a dough. 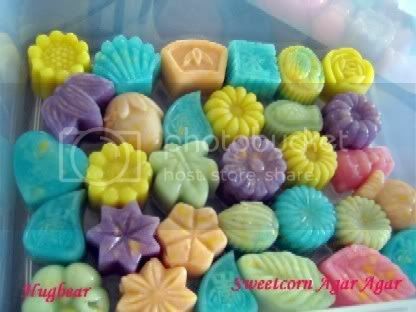 Divide into 20 pcs of 12 gm each. Put aside for later use. Mix flour and shortening into a dough and divide into 20 pcs of 12 gm each. Put a piece of yolk into the middle of the paste and roll into a ball for later use. 1. Wrap 1 piece of flaky dough with a portion of the shortening dough. Flatten the pastry and roll out. 2. Roll up the pastry again like a swiss roll. Turn 90 degree and roll out again. Roll dough back like a swiss roll and than flatten it into a round shape. Wrap with a piece of the greenbean paste. 3. Arrange pastry on a baking tray and brush with egg yolk. Bake at 180C for about 10 mins. Take it out and apply another layer of egg yolk. Continue to bake for another 10 mins or until brown. Hi, your Savoury Mooncake looks yummy. Mind to share your recipe? Thanks. Hi anonymous, I will post the recipe up shortly. Wish you success with your site. If you need Education Travel information, check out my blog. Recipe posted up already. Happy trying. I know several other readers that will love this blog. Hey man you have a really insane blog here. Perhaps you will find my blog about Mexico Travel interesting. Thank you for sharing your recipe. Will TRY if I could get the same results as you. Not so easy, eh! Wow these look really fun! great gift! Hey, I've tried making the Savoury Yolk Cake. It turns out pretty good but not as flaky as the one you made. Thanks again for the recipe. 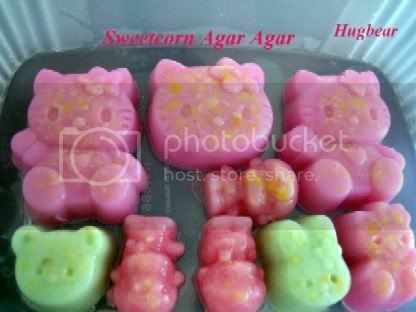 hi, can i knw where you get your kitty mooncake moulds? thanks! 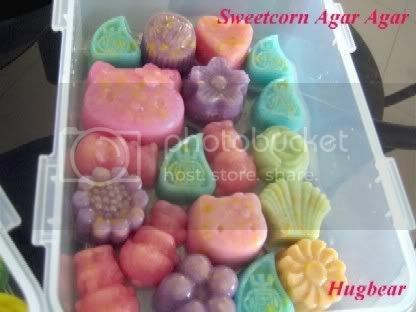 The kitty moulds are from Hong Kong. What is Hong Kong flour? Hong Kong flour is low gluten flour. Hi, I would like to know if you know how to make lotus paste? If you do, could you please share? Thanks! Hi Mel, sorry I do not have a recipe for that. 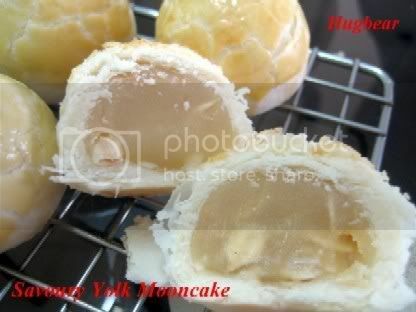 Hi...can i know 8 gm of egg is 1 small egg or...I m confuse?Thks.This is my first time trying to bake moon cake.